Concerned about radon in your water? 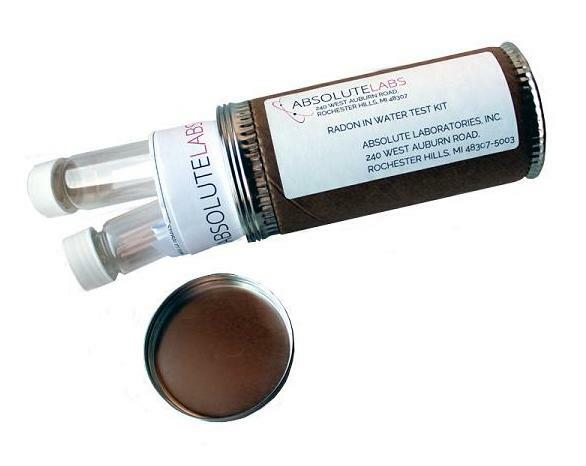 The Radon in Water Test Kit enables you to easily collect and submit water samples for analysis by a certified radon specialist and physicist at our laboratory. We have been analyzing radon in water for clients, like you, for 30 years. Make sure your water is safe and purchase your Radon in Water Test kit today by clicking on the box to the right. Results in 2 business days after receipt of sample. Call or email for rush pricing. 1. 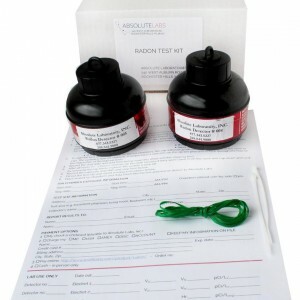 Purchase your Radon In Water Test Kit. 2. You’ll receive your Radon In Water Test Kit in the mail by ground shipping. Call or email for rush shipping prices. 3. Follow the step-by-step instructions included in your Radon In Water Test Kit, and mail the water samples back to our laboratory for analysis. A PDF lab report will be sent to the email(s) provided on the form included with your Radon in Water Test Kit. Radon is an odorless, tasteless and invisible gas produced by the decay of naturally occurring uranium in soil and water. Radon is a form of ionizing radiation and a proven carcinogen. Radon gas can dissolve and accumulate in ground water, such as wells. When water that contains radon is used in the home for showering, washing dishes, and cooking, radon gas escapes from the water and goes into the air. Not all drinking water contains radon. If your drinking water comes from a surface water source, such as a river, lake, or reservoir, most radon that might be in the water will have dissipated into the air before reaching your water supplier or home. Radon is mainly a concern if your drinking water comes from underground, such as a well that pumps water from an aquifer, though not all water from underground sources contains radon. The Radon In Water Test Kit includes step-by-step instructions to check the level of radon in your water. The technology used in the Radon In Water Test Kit, electret ion chambers, is what professional inspectors, builders and property managers use. It is EPA-approved, provides the utmost accuracy and timeliness (48 hours! ), and it’s easy-to-use.